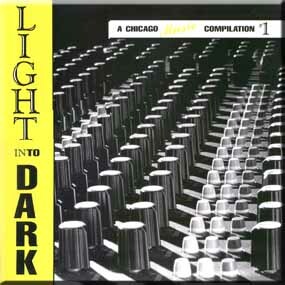 LIGHT INTO DARK is the 1989 compilation album of Chicago alternative music featuring the first released recordings from The Smashing Pumpkins - "Sun" and "My Dahlia". Also included on the album are Poster Children, Ghost Swami, Gold September, Price of Priesthood, and Seven Letters. Click here to read more about the history of LIGHT INTO DARK and the bands and stories from the record. Due to popular demand, LIGHT INTO DARK is now available on CD! For the many fans of the Smashing Pumpkins and especially those interested in the scene they came from, the music of LIGHT INTO DARK is now available to everyone, not just those with a record player. LIGHT INTO DARK 2002 will be released on March 17, 2002, the 13 year anniversary of the original album release party at the Cabaret Metro. SP site owners, would you like a free CD? send you a few CD. Please email us for details. Please send us your related link with a return link to this site!